This week was straight up incredible. No other way to say it. 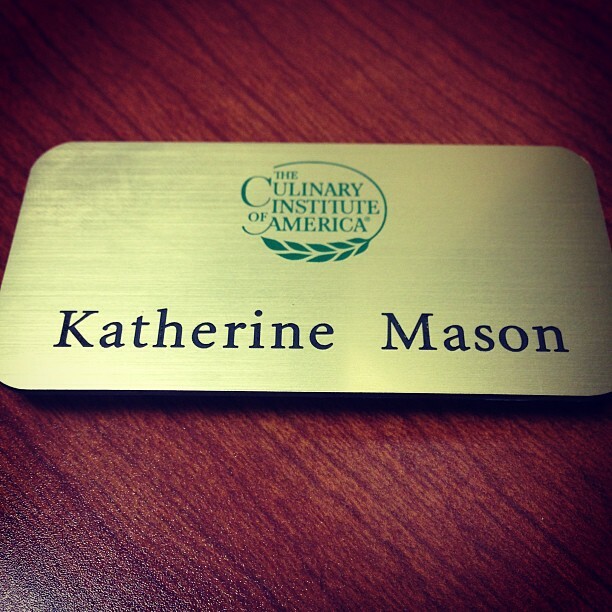 I’ve just completed the first week of training for my new job with The Culinary Institute of America as their new “Capital Area Regional Admissions Counselor.” I’ll be fortunate enough to work from my home office where I live in Maryland/the greater D.C. area. I’m currently halfway through my full immersion into learning who and what this great school is all about; what the food tastes like (tough life, I know), how and why the students’ schedules are arranged, what the classes look and feel like, how their rolling admissions process works, how to maneuver a new database, how to connect with many crucial offices (financial aid, marketing, etc.) that will help with each new student’s transition, and so much more. I’m very grateful for this time in order to better relay this perspective of campus to our future students and chefs. As a result of my training, this week was packed with out-of-this-world cuisine on campus, daily tastings, demonstrations, observations, and many meetings. The staff, students, and remarkable Chef Instructors are all incredibly welcoming and friendly. I instantly felt at home. Even more so than I had anticipated. I can’t even begin to explain how lovely that feels, knowing that this was a pretty life changing decision to leave GMU for “the CIA.” It’s just so great to feel “home” already. Like…as in THE Thomas Keller – voted the best and most influential Chef in America – world-renowned author and restaurateur – owner of Per Se (New York, NY) and The French Laundry (Napa Valley, CA) – just to name a few of his 47394032 accomplishments. So, what about him? He was there, at the CIA, on my first day. What a way to dive right into the world of all-things-culinary with a visit from Thomas Keller himself! The CIA rolled out the red carpet with an extraordinary day to celebrate his influence in the industry. Students were preciously sitting on the edge of their seats in their perfectly pressed chef whites while listening and taking notes from just about every word he had to say. There’s a million other things that I want to write about from my inspiring first week, but I’ve realized that it’s worthy of other posts. Stay tuned.